The drug is the dried whole herb of Salvia liguliloba Sun. (Family Labiatae), growing on the edge of forests, on hillsides, along roadsides or on grass lands, and distributed in Anhui and Zhejiang of China. Pungent, slightly warm; liver meridian entered. 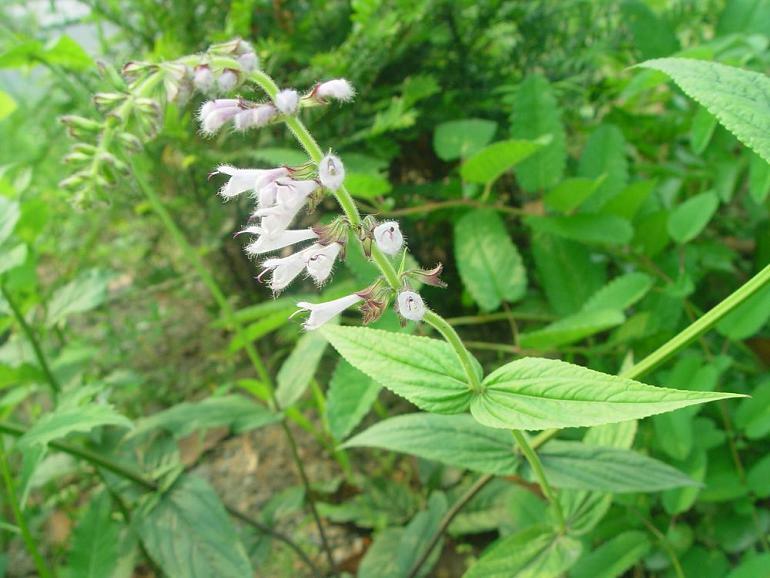 Whole herb is used to activate the blood, remove blood stasis, activate the channels and collaterals, for the treatment of arthralgia, lumbago, menstrual disorder, leucorrhea, etc.